Trump says Treasury Department official David Malpass is his choice to lead the World Bank. Former Gopher Jeff Jones attempting football comeback at Waldorf University in Iowa. Four agencies came to the same conclusion today: 2018 was the fourth-warmest year on record behind 2016, 2015 and 2017. The Minnesota Opera has acquired the Lab Theater, a small, versatile venue in Minneapolis' North Loop. United Airlines is courting well-heeled customers with more premium seats. Weather update: A winter storm warning issued for portions of the east metro and western Wisconsin, where 6 to 8 inches of snow expected. House Democrats are launching a new probe of Russia's role in the 2016 election and of President Trump's finances. Inge Thulin, the 39-year 3M veteran who retired as CEO last year, will retire as chairman in June. Warm up with these 7 sensational soups at Twin Cities restaurants. Officials in Nogales, Ariz., decry new installation of razor wire covering the entire border wall through downtown: "That wire is lethal." A gray wolf that was moved to Isle Royale last year has crossed the Lake Superior ice back to the mainland. House Speaker Nancy Pelosi says President Trump's "threats" have no place in Congress. VIDEO: Watch Jake Patterson's court appearance this morning as he awaits trial in the Jayme Closs case. Virginia's attorney general says he wore blackface at a college party in the 1980s. Jake Patterson, man accused of kidnapping Jayme Closs, does not enter a plea at brief court appearance. Arraignment set for March 27. WATCH LIVE: Jake Patterson appears in court at 11 a.m. in Jayme Closs case. 20 high school teams observe a moment of silence in honor of a Prior Lake skier who is on life support after being injured in a vehicle crash. From millennials to seniors, Twin Cities workers embrace the 'side hustle' economy, marking a shift in how Americans make a living. Massachusetts' highest court upholds involuntary manslaughter conviction of young woman who encouraged her boyfriend to kill himself through dozens of text messages. Izzy Young, who organized Bob Dylan's first big New York concert, dies at 90. House intelligence committee postpones closed-door testimony from Michael Cohen until Feb. 28. Everson Griffen's contract puts his status with Vikings in question for 2019. Fisher-Price recalls Power Wheels Barbie Dream Campers. A Boeing 747 is making its way across Dutch farm fields to a hotel, where it will be turned into a visitor attraction. "I feel like I've been hit by an 18-wheeler, but other than that I'm great," Lindsey Vonn said with a laugh after her crash yesterday. Her first thought was: "I'm too old for this." EU chief wonders "what a special place in hell looks like for those who promoted Brexit without even a sketch of plan how to carry it out safely." It's not as bad as yesterday evening, but metro area roads are still a bit messy for the morning commute, so expect slow going. A former Stillwater H.S. teacher now living in Milwaukee went missing, and her car has been found with a burned body in it. Authorities are trying to determine if it is the teacher. Jake Patterson, the man accused of kidnapping Jayme Closs and killing her parents, to appear in court at 11 a.m.
Yearbook staff disagree on whether racist photo on Virginia Gov. Ralph Northam's page was a mix-up. Good morning! Clouds and flurries today with a high of 23. Snow starts again tonight with 4-7" possible by Thursday. 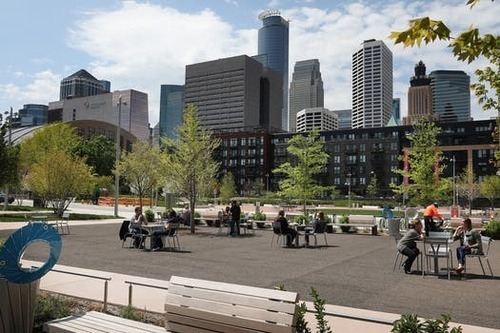 A Hennepin County judge said Minneapolis can no longer operate the Commons Park, a 4.2-acre green space next to U.S. Bank Stadium, beginning in May. 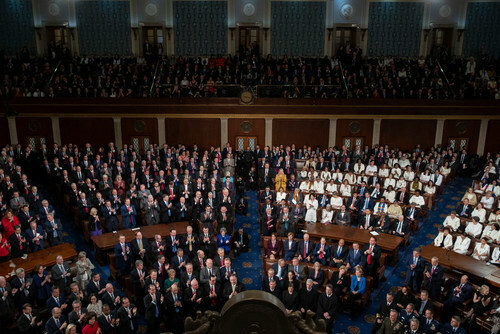 Republicans and Democrats in Minnesota’s congressional delegation found reasons to hope for bipartisan collaboration and compromise in President Donald Trump’s State of the Union speech. 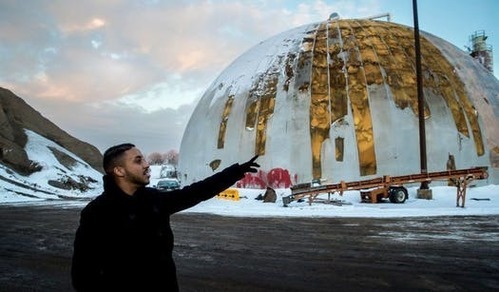 A Minneapolis City Council committee again postponed a vote on a massive riverfront redevelopment in north Minneapolis, in what was seen as a victory for activists seeking greater involvement. 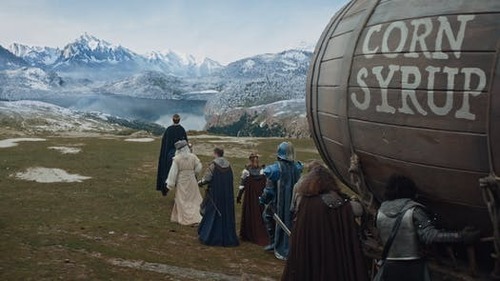 Bud Light's Super Bowl ad on corn syrup missed its target market, upset farmers and baffled business observers, Lee Schafer writes. 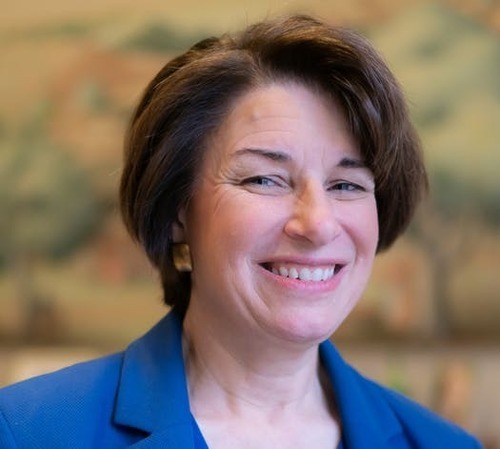 A political unknown who had never given campaign contributions before pumped big money into the 2018 election, especially to Gov. Tim Walz and U.S. Sen. Amy Klobuchar. 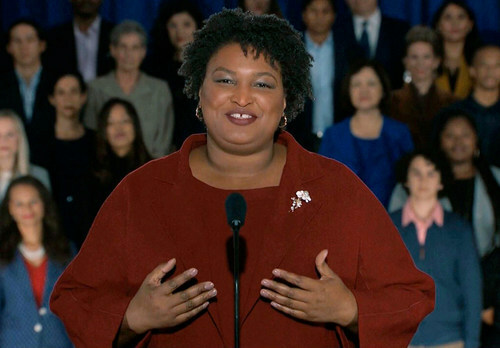 Georgia Democrat Stacey Abrams gave her party's response to the State of the Union, accusing President Donald Trump and Republicans of abandoning working Americans and fomenting discord. 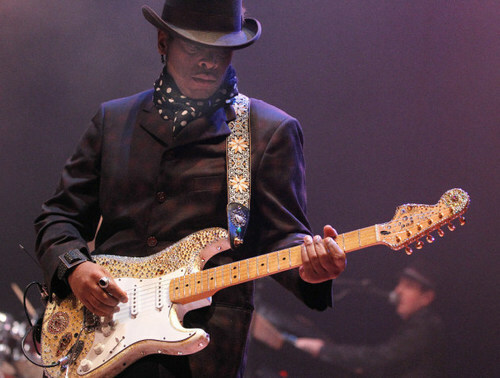 Celebration 2019, the third annual posthumous Prince event at Paisley Park in April, will feature a rare discussion with former Prince manager Bob Cavalo, a performance by ex-Time guitarist Jesse Johnson and a live/video “Prince: In Concert on the Big Screen” at the Minneapolis Armory. 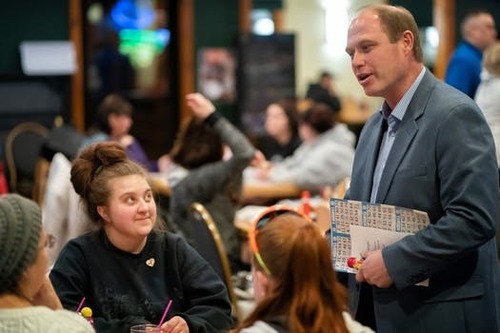 Republican Jason Rarick won a hotly contested special election for a Minnesota Senate seat, expanding the GOP’s narrow majority in the chamber. 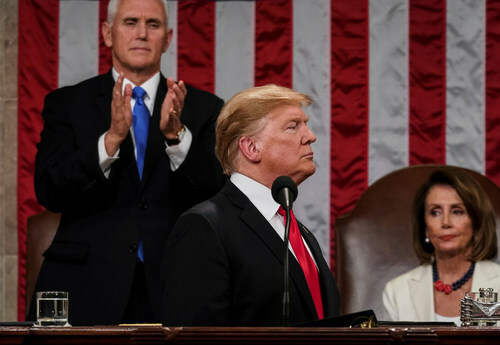 President Donald Trump peppered his State of the Union address with calls for bipartisanship: "If there is going to be peace and legislation, there cannot be war and investigation." he declared. Thanks to Justin Holliday's two free throws with a tenth of a second left, the Wolves lose to the Grizzlies in Memphis 108-106. 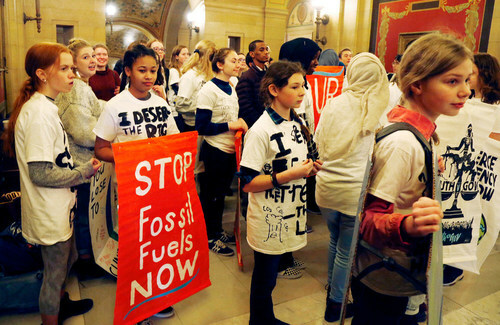 Legislators want to make Minnesota the fourth state to set a 100 percent clean energy plan, with the aim of having electricity providers generate all energy from renewable sources by 2050. The Wild battled Buffalo to overtime before the rally fizzled in a 5-4 shootout loss that also saw Mikko Koivu leave the game.